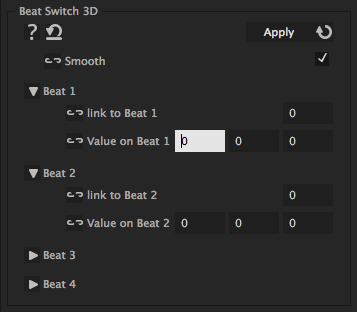 The Beat Switch 3D allows a 3D property to react to more than one beat simultaneously. The reaction to the beat can be completely different for each of them. In particular, the reaction to each single beat can again be controled by a separate, individual iExpression.